Don’t let the heading fool you, despite securing qualification as group winners last round, Wenger has said he still intends to finish strongly meaning expect to see a few first team players mixed with fringe players and youngsters. The likes of RVP, Walcott, Ramsey, Song are definitely going to be rested as they are close to burning out having played a large chunk of the season so far. Frimpong(who is going out on loan in January), AOC, Coquelin, Park, Chamakh are going to play. Till the transfer window opens, we’ll be bringing you players with whom we’re being linked, and over the weekend, its reported that we’re going for Alex Pato of Milan, with a deal of 25M + Arshavin doing the rounds. Also Chilean striker Eduardo Vargas has been added to the list of those we’re after. Like most gooners, I’d rather we get a cheap player seeing as its january and quality players are rarely available, so let’s get Podolski as he can do the job on his own or play together with RVP. He won’t require any work permit and he’s not Euro tied. Wenger confirmed Diaby has had a setback and is out again, for how long, we don’t know. Why is Diaby still an Arsenal player? I’ll wait for an answer. Are there still any Arteta doubters here? I’ll have you know he’s averaging the most passes per game in the whole of the premiership and along with Ramsey(4th) they continue to boast impressive percentages(Ramsey had 95% pass completion on Saturday). Below are the player ratings for the Stoke game. Conceded a goal he shouldn’t have but he conceded it the Arsenal way so no harm done. Met the brutes of English football and made a good account of himself. Was good help at the back for the team. No harm, no good. Consistent careful display from the Brazilian still finding his feet at the club. Probably his finest game in an Arsenal shirt, distributed the ball well and helped cover the defence well. Seems to have picked form just after I criticized his game play. We need him at his finest throughout the season. 4th assist of the season, he’s no Fabregas but he’s making a name for himself. So far the best and most creative midfielder for us this season. Came on looking real hungry and aided the third goal albeit indirectly. Van Persie comes to the rescue again by saving us. Another 3 points in which I rightly predicted the scoreline. This weekend was lovely as Man Utd got raped at home. Good weekend to be a gooner right? From the onset we looked likely to run riot over the Greek team with early goals from UCL home debutants AOC & Santos both scoring only for schoolboy defending again to undo us as they pulled one back. It ended that way. Here are the ratings. Conceded a goal but was totally dominant and pulled off back to back saves to keep us in the tie. Needs to stay on his line more. Very poor showing. For a minute there I thought Justin Hoyte was back in an Arsenal shirt. He was solid at the back, even though he played with Song, won all aerial balls, cleared the ball into safety on more than one occasion. Was no where for the goal. Was found wanting a couple of times and got no protection from Frimpong. Got the assist for the opener with a delightful pass. He got his first goal on his home debut. Was a menace in the first 45 but needs to learn to defend better. Otherwise a solid game. Out of sorts performance from the young Ghanian, left his defence exposed time after time but got better as the game wore on. Covered more ground than any other player on the pitch but he needs to be more adventurous. He continues to play like he’s been told not to attack. What did he do in the game? Apart from giving away a dangerous freekick and running around like a headless chicken, he was poor. Needs to go. SIGH I’m lost for words, he was anonymous in the first half, did not defend and did not contribute. Then he was selfish in the second 45. Surely he’s clock is ticking away. Was our best player in the first half, showed nice touches, ran well at the defence, crossed even better. 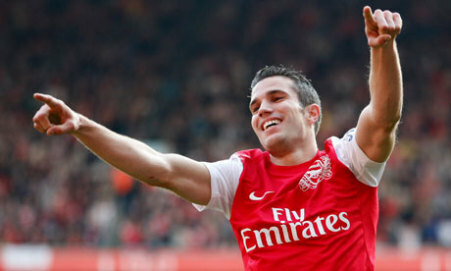 Took his goal with aplomb and in so doing endeared himself to the Emirates faithful. Missed the chance to put us 3 goals up, would have gotten a 4 but for his work rate and involvement in building up play. There you have it, three points in the bag, but with Marseille winning, we have to settle for second position. Spurs awaits this weekend. Have a swell night. If there were any perfect game for the club to use as a springboard to better performances, this is it right here. Nothing less than a 3-0 scoreline or 3 goals difference is expected. This is not a league game so hopefully the league form is not carried into the game. Not the best of mornings for me, it rained all night and it still is meaning I’m stuck at home till it stops and then to make it worse, my favorite rapper’s(J.Cole) album leaked a week before its original date(damn! Cole World) but I trust Arsenal to make that all right against the boys from league two. AW confirmed yesterday that there’s going to be first starts for summer signings AOC, Ryo Miyaichi and Park Chu Yung, but its not going to be a weak squad as the likes of Koscielny, Mertesacker , Chamakh, Gibbs are in it. If anything, I’m excited to finally watch AOC play, he’s our biggest signing this summer in terms of fees and he’s been in electric form for the England U21’s bagging 6 assists in 2 games, fancy he could grab a couple again tonight. Shrewsbury should be a walkover but don’t expect them to come to the Emirates and fold, as they are a good footballing side who move the ball well and make use of their fast & exciting wingers. Also, striker Marvin Morgan has already scored 7 league goals this season so expecting him to be looking for more. Let us no what you think the scoreline would be. See you in the comments. Le Boss gave an interview to Arsenal.com this morning and revealed team news ahead of Swansea’s visit to the Emirates and we can say most if not all are good news. He said Vermaelen’s surgery was a success and that he should be back within a month. The injury this time is on his left ankle and has nothing to do with his achilles tendon. There’s further good news as perennial absentee Gibbs is back in the squad and is fit to start meaning a place on the bench for Andre Santos. Le Boss said the brazilian is not match fit as the last game he played was at the Copa America. No problem, he’ll play soon enough. Theo Walcott has given us extra boost as the slight injury that kept him out of the England-Wales game is not serious and should start. Tomas Rosickyis carrying a knock and would be assessed before tomorrow and Korean captain Park Chu Young should make the bench but don’t count on seeing him start. Emmanuel Frimpong, fresh off deciding to play for Ghana over England is back after completing his one match ban and goes straight into the starting XI but there’s no place yet for Gervinho & Song who serve the last games of their suspension. The Blackpool Preview; Bitter-Sweet for Arsenal:Two down injured,Four return. The Tangerines, as Blackpool F.C are known, continue their welcome party into the Premier League with a daunting task of visiting the Emirates to play a team who are always free scoring at home.But they will arrive in high spirits after the demolition job at the DW stadium last week, scoring 4 against Roberto Martinez’s Wigan. Arsenal meanwhile will be looking to get their campaign back on track after the draw at Anfield last week by securing a win, a BIG one I hope against Blackpool. The last time we played them was in 1999 FA Cup Third Round with a 3-1 win for us. We have met them 81 times, won 42, lost 15 and there have been 24 draws in between. Onto team news, we welcome back Fabregas, RVP, Song and Djourou to the first team and this comes as a relief after the midweek injuries to Nasri and Frimpong ruling them out for a month and six months respectively. Too bad for Frimpong who was hoping to get a starting berth against the seasiders and Nasri who had a terrific pre-season. AW is still undecided as to whether to start Fab and RVP and still is not sure who to partner Vermaelen in the heart of the defence. As for team options, I’d like to see AW opt for a 4-3-3 with RVP-Chamakh-Arsha upfront backed up by Fab-Song-Rosicky.Anything less than 3 points from this fixture will be nothing short of embarrassing and will give our doubters a new song this weekend. One or two early goals will put the tie to bed quickly. Recent rumours linking us to Sevilla and French International Sebastian Squillaci seem to have been quashed with report of him signing a new 2 year deal with the Spanish outfit. This new deal supposedly ties him to 2013. It has also emerged that Fulham having turned down our latest bid for Schwarzer. It should be noted that we did not improve on the initial 2million quid bid which is quite laughable. Obviously, Fulham rate him more than that and while it will take a deal of around 3.5 or 4million to bring him in, a swap deal involving Carlito is being talked about. Wenger should try to do a deal very fast and by the way, a defender should be top priority as we have seen. At this rate, we’re probably headed for another ridiculous transfer season. I hope not because we’ve suffered for so long and 6 years is not something to ignore. That’s it gooners, I do not expect any surprises this weekend. So let’s go into this game with confidence of picking all three points. After all, it’s only Blackpool. From wherever you are reading, have a restful and fun-filled weekend. Almunia is s**t, Fabianski is useless and Our defence is average!!! Today’s post and its title is inspired by something I’d like to call Stone Cold Facts, meaning I get to say what I want the way you feel,not the way we want to believe it is). After watching the highlights of the long-dead Legia Warsaw game, it’s hard to ignore the obvious cracks in our defence and take away just the positives. Was it fatigue? No. Did we underestimate them? No. Were we too relaxed because it was a friendly? Maybe. Or was our defending just shambolic as a whole? Lapse after lapse followed by heavy legs and lack of bite in the tackling and Fabianski’s already popular horror shows led to us succumbing to a 3-goal deficit in only the first half. If that happened in a league game,irrespective of the result which ended 6-5 in our favor, the media been all over us saying stuffs like, ‘more of the same’ and ‘you can’t win anything with kids’. And with such a performance who would blame them, even AW’s reaction by indirectly giving Fabianski the middle finger says it all. We’re all tired of been reminded that our goalkeepers are not world class and should only be employed at the circus or better still, a middle-placed Premier League team. Arsene’s obvious blind spot for goalkeepers; Shabaan, Wright, Taylor, anyone? made it a shock when it was reported that we were contemplating a loan deal for Shay Given. No I ain’t kidding you. Much to my delight Shay Given also said he’ll look into a possible loan move if he’s not first choice at the Eastlands. Terrific proposition huh? Sincerely I can’t wait for him to join and with the lure of Champions League football, it should be hard for him to resist. With another Centre Back hopefully arriving soon, it might finally be our year. Therefore, I recommend Almunia be sold, Fabianski loaned and Sczesny be promoted to 2nd choice. Onto less pressing issues, our new French-Polish defender has pledged his allegiance to France,angering Polish fans in the process. Also congratulations to Arsenal trio Theo, Jackie and Kieran on their call-ups to the Three Lions squad. This will obviously make one time Gunners great, and now Academy Director Liam Brady, a proud man as two out of the three passed through him. Arshavin confirmed this morning that he has returned to full fitness following a muscle injury that ruled him out of the Legia match. Denilson and Abou will face late fitness tests though. Also should Cesc and Robin fail in their battle for fitness for the opening game of the season, it is most likely Jackie and Frimpong will be drafted into the match-day squad. Let us hope our new defender (if Arsene does sign one) is with us by then. We really need to start the season on a good note, and while Anfield will be buzzing with the arrival of Christian Poulsen, these are not the best of times at Liverpool and I have no doubt we’ll be in for a good showing from our boys. From wherever you’re reading, have fun. 6 things I learnt from watching the Emirates Cup. Hallo gooners world over, the Emirates Cup, the two-day tourney which has served as a curtain raiser to our season for the past 4 years went down this weekend, and as it’s almost become tradition, the “coveted” cup is staying home. But that’s only a bit of what we learnt from a competition that included A.C Milan, Celtic, and Lyon. We ended up with 8 points in total, 4 for earning a win and a draw, and the other 4 points for scoring 4 goals. I feel it gave us a fair idea of what to expect in the coming season as most of our players were around and played at least one match. So, I’m just going to touch on a few things I learnt from watching the team play in both matches. The most interesting thing I noticed is that we are somewhat stronger upfront. I say this with uttermost respect, but it seems as though we have replaced a shattered Eduardo with a skillful and hardworking point man in Marouane. While it’s still too early for any assessments, the Moroccan was everywhere over the weekend, he was our focal point in the first game and played his part very well. His first touch is quite assured, his link-up play is impressive and he definitely has an array of skills to boast of. Koscly just might be the real deal. After unconvincing performances earlier in pre-season, the Polish Frenchman really came to life at the Emirates and performed quite admirably. He was calm and assured in his tackles. Even though he still has a lot of improving to do as the atmosphere over the weekend will be different from what’s obtained when the season proper begins, he looks a decent buy and even his partner had this to say about him. “He’s a clever player, quick over the ground, quick with his feet and looks to be the complete defender. I think we can work together well, he’s right-footed and it’s often better to play one left-footed and one right-footed defender together.” Vermaelen said. Frimpong and Wilshere are two youngsters that will most likely and soon break into the first team. On first sight, Frimpong looked quite scared and uncomfortable but as soon as the match began, he eased himself into his defensive midfield role and took no prisoners. He was not fazed by the pedigree of the A.C Milan players as he hassled the opponents here and there, and won the ball a lot of times. For Wilshere, is talent is not in doubt, it’s only a matter of whether he has the attitude to make his talent come to the fore. He had two amazing games and even struck a Scholesque volley against the cross bar. His confidence and ball retaining abilities are amazing and he was at the heart of everything Arsenal did. Despite his small frame, he seems to enjoy the physical aspect of the game. Both players gave a few passes away, but that can be attributed to their youthfulness and it is safe to say that will be eradicated as they mature. Bad habits are very difficult to kill and that was obvious again over the weekend. Our penchant for conceding unnecessary goals is something that denied us the trophy last season. In both matches we conceded cheap goals, goals we could have avoided. It is very sad to see us scrape through a match we should have easily won. No one expected the tension that accompanied the closing minutes of the Celtic match; not after going 3 goals up. Arsene needs to tell the players that it takes a mean defence to mount a successful title challenge. Cesc might have set his mind on leaving for Barcelona. Still on holiday, I watched on TV this morning as he was honoured in Spain for his part in the World cup triumph. And as he addressed the fans, he stated that he would love to see them more often. What that really means, I can’t tell you, but one thing I am sure it does not mean is flying from London to Barcelona every weekend to say hello to his fans! I think it was Arsene’s wish that he addressed the fans prior to the Emirates cup but he refused. His games are not funny anymore and I think he should state categorically if he wants to be with us next season or not. He needs to end this sequence of boring stories of how he adores gooners worldwide while at the same time breaking their hearts with his comments concerning Barcelona. Almunia is not leaving Arsenal, at least not this summer. Speculations were rife about him leaving when he was not included in the previous matches, but on Sunday, he was back in goal as number one and captain too. To be fair to him,, he had a good game albeit conceding two goals and seems to have done enough (not enough in my opinion) to convince Arsene to keep him. Arsene said yesterday that he is only in the market for a defensive player (more or less a defender) which you will all agree is more important right now than a goalkeeper. But what law says we can’t have both? So that’s it mates, my lessons from watching my team play two matches back to back. I am sure our views will differ on some issues I raised. Why not tell me what you saw differently and what needs to be done about them. Come one ,Come all. Its the start of another season of wonderful football from your one and only Arsenal Football Club. In usual tradition a couple of pre-season matches have gone down and we round it up with the Emirates Cup. In normal fashion, Le Boss renowned for his tightfisted approach when it comes to new signings would be giving the younger players a run out on the pitch. Watch out for a couple who could break their way into the first team this coming season. Players such as Wilshere, back from his loan at Bolton, got plenty playing time and his overall game would have increased considerably. Other players to watch out for are Simpson who netted a brace against Barnett, Gibbs,Frimpong just to mention a few. So we’ll be taking a look at what makes these youngster’s the one’s to look at for. A powerful midfielder with poise on the ball, and unrivalled ability to make the transmission between defense and attack. Although Ghanian born, he has played for England at youth level and has been identified as one with a genuine chance of making the grade at Arsenal. Already eighteen, he played in last season’s FA Youth Cup final and was handed a starting role against Barnett last week and his display was beyond his years as his terrier like tackling and darting attackin runs were a joy to behold. Also a threat from set-pieces. Could this be our new Vieira??? A strong, aggressive and talented central midfield playmaker, able to play on the wings as well. He shone during a loan spell with Watford last season alongside Man Utd’s Tom Cleverly, where he scored 4 goals in 16 games. Made a cameo appearance against Barnett and showed some good touches. This young man needs no introduction to Arsenal fans. Already the youngest goal scorer in the history of our club and youngest player to ever play for the first team. A dimunitive playmaker/attacker who has been earmarked for a future spot in d English starting 11 thanks to his surging runs,eye for a killer pass and composure reminiscent of Dennis Bergkamp. He made 7 first team appearances last season before going on loan to Bolton where he drew plaudits for his maturity,physical and Mental strength and also grabbing his first premier league goal against West Ham. Other players to look out for include Jay Simpson who is currently fighting for his Arsenal after 3 seasons out on loan. Keiran Gibbs who can be considered a senior youngster even though he’s just 19,will be a welcomed face after missing the last half of the season due to injury. Nordveit is another player after spending the whole of last season on loan in the german bundesliga. The jury is still out on the new signings so the Emirates Cup would provide the perfect platter to put to bed any doubts. From wherever you’re reading this have a fun-filled day as you sit back and enjoy the tournament.